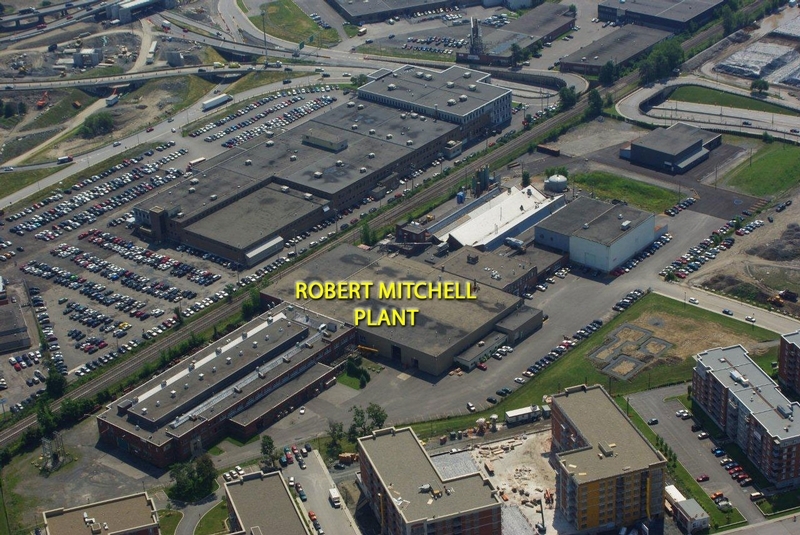 75,000 square feet of shop floor to serve you | Robert Mitchell Inc. Founded in 1851, leaders in the field of fabrication, welding and machining, we specialized in the production of custom or mass production of steel products for OEM as well as industrial, mining, construction, transportation, energy, petrochemical and pulp and paper sectors. With our expertise and staff commitment, Robert Mitchell's mission is to offer quality products at competitive pricing to meet our customer's expectations, requirements and delivery times and to be leaders in manufacturing. Our services, quality and reliability of ours products have allowed us to establish lasting business relationships with customers that have world wide reputations for the quality of their products. With 75,000 square feet of production area and modern equipment, we can quickly adapt our factory to your needs. (4) forklifts up to 5,000 lbs. (1) Mechanical charger 13,000 lbs.